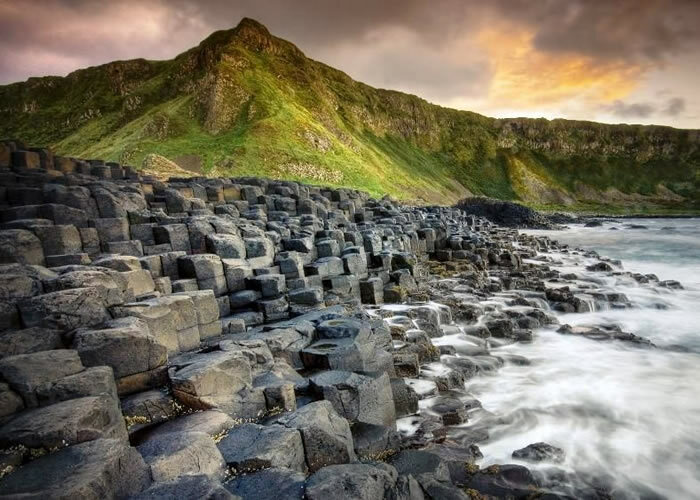 The Giant's Causeway, renowned for its polygonal columns of layered basalt, is the only UNESCO World Heritage Site in Northern Ireland. Resulting from a volcanic eruption 60 million years ago, this is the focal point of a designated Area of Outstanding Natural Beauty and has attracted visitors for centuries. It harbours a wealth of local and natural history. 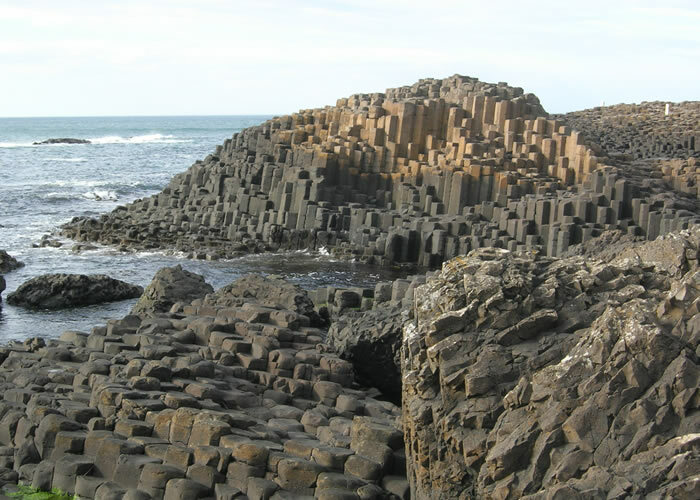 The Giant's Causeway is also steeped in myth and legend. Some say it was carved from the coast by the mighty giant, Finn McCool who left behind an ancient home full of folklore. Look out for clues of his existence � including The Giant's Boot and Wishing Chair. There are four stunning trails at the Giant's Causeway suited to every ability, from a pram friendly jaunt to a challenging coastal hike and in addition, a new accessible cliff top walk for families and people with disabilities. The area is suitable for picnics, cliff and country walks, and dogs are welcome on leads (guide dogs only within the Visitor Centre).